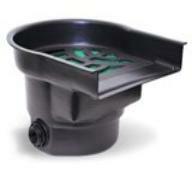 Mini Skimmer: 20" long x 15"
dramatic waterfall and superior aeration. 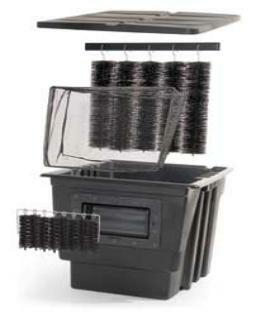 added bacteria provide unmatched water cleaning. grate, and liner attachment flange. Lock" system - no silicone, no bolts, no tools! either end, a plug for unused end is included. both ends) and spreads out evenly across the whole width of the spillway. 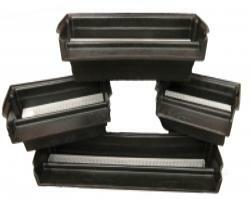 EASY PRO ECO WATERFALL SPILLWAY 18"
EASY PRO ECO WATERFALL SPILLWAY 23"
EASY PRO ECO WATERFALL SPILLWAY 34"
EASY PRO ECO WATERFALL SPILLWAY 48"
pads to catch the smaller debris. 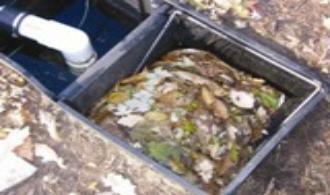 The net and brushes will catch the larger debris before it gets to the pump. 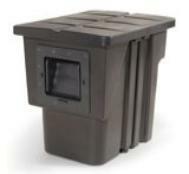 Prices include shipping on all skimmers. 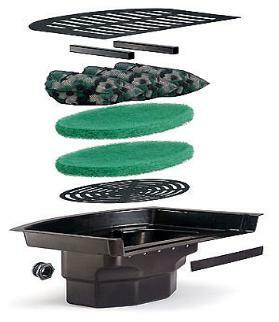 • Innovative design allows you to choose between a vertical filter mat or filter brushes. filtering and one for the pump. 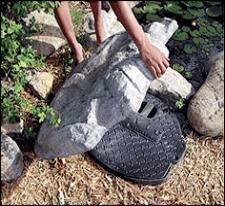 Pumps can be inspected or removed without removing mesh net or filter pad. opening. 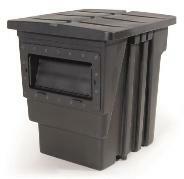 This makers our skimmers the most natural looking and easiest to hide. from view. 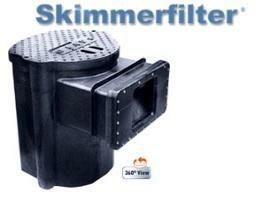 Internal filters inside the skimmer prevent the pump from plugging and are easy to clean. 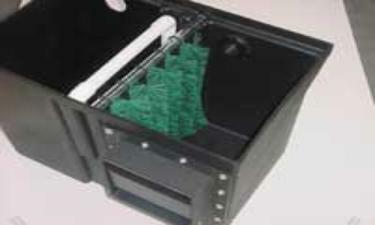 piece design keeps mesh in place and is easier to clean. 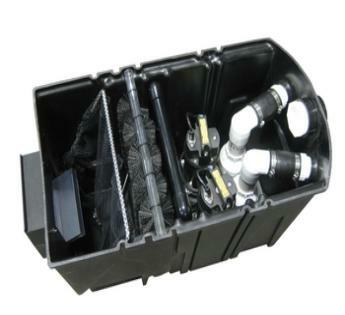 • Two chamber design means no more cutting filter pads to fit around the pump or plumbing. 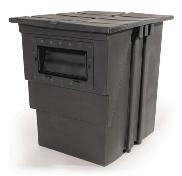 unit that saves you time and money. 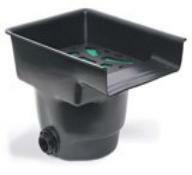 filtration system, the skimmer prefilters debris allowing your filter to work more efficiently. 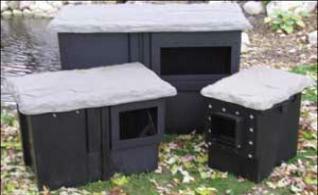 enclosure. Skimmer enclosure houses and hides the pump. 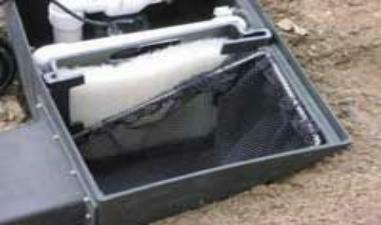 extra-wide basket and filter mat means less maintenance. 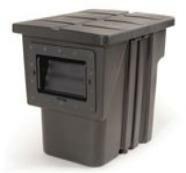 Cross flow design makes pump access and removal easy. 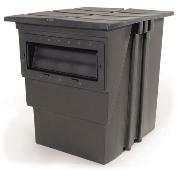 include Basket, Filter Mat, & Plastic Lid. net and vertical filter brushes.